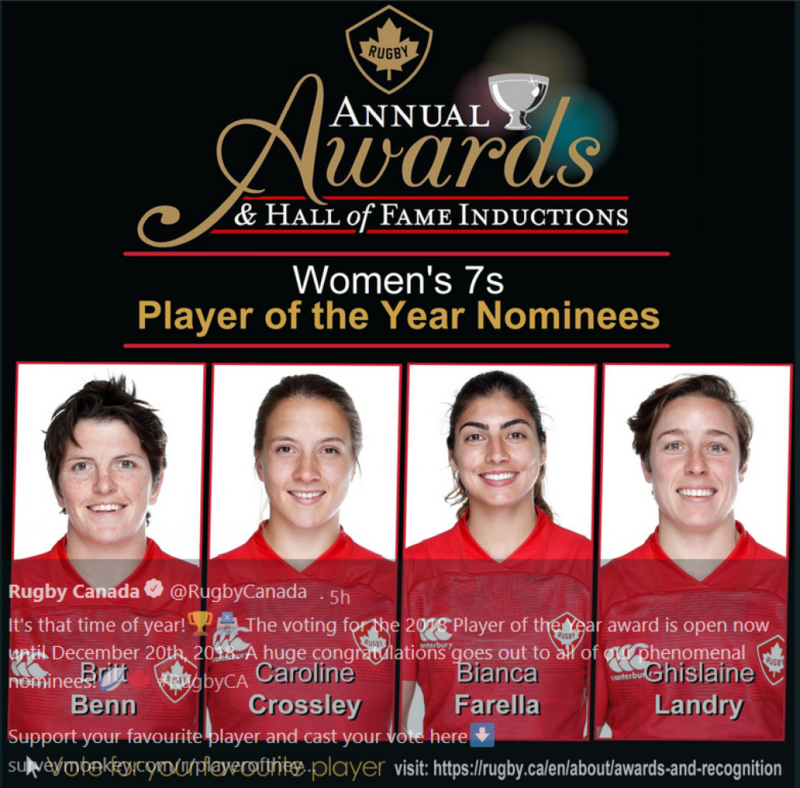 Received a tweet from Rugby Canada; "It's that time of year!ðŸ�†ðŸ—³ï¸� The voting for the 2018 Player of the Year award is open now until December 20th, 2018. A huge congratulations goes out to all of our phenomenal nominees!ðŸ�‰ðŸ�� #RugbyCA"
Vote for your favorite Male VII's and XV's player and you favorite Female VII's and XV's player. We note that for the Women VII's, Caroline Crossley (CW raised from Minis to U18's), is included amongst the four nominees. This is quite the feat for the youngest player on the current squad to be included with the likes of Olympic medallists Britt Benn, Ghislaine Landrey and Bianca Farella. CW offers our congratulations to the nominees in all four categories.